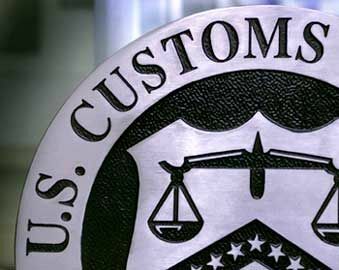 Customs Brokerage – John S. James Co.John S. James Co.
Customs brokerage is one of the most complex areas of international trade. Complying with the multitude of government regulations and requirements is a daunting task for even the most experienced professional. A broker and an importer must maintain a close relationship. Trust and confidence in the expertise offered by the broker form the foundation of this relationship. The importer depends upon the broker not only to process the necessary documentation, but also to advise them of potential liability issues, changes in customs policy and any problems that may arise that will delay shipment delivery. John S. James Co. employs several Licensed Customs Brokers (LCB’s) within the organization. We encourage the education of our people, and give special recognition to our employees who endeavor to achieve this rigorous certification. Our brokers possess an average of over 20 years experience in the international trade industry. Years ago, John S. James Co. was the first company in the U.S. to be approved on the U.S. Customs electronic cargo release system. We have maintained our commitment to leading the industry in electronic commerce, from web-enabled processes, to ACE entry, and beyond. Our clients leverage our technological expertise to maximize the value of their international operations. John S. James Co. offers numerous services that enhance your operations. Among these services are Customized Report Generation, Commodity Classification, In-house Compliance Audits, Binding Ruling Support, Compliance Training and Customs Services Invoice Auditing.